@mfbull: It's after the race so the teams will hang around. But still quite an unusual choice. Have just spoken to Ben at Mercedes. He says the team has been solely focused on set-up work today - which was always part of the plan. That would explain why the team's headline time is nothing spectacular and why they've had sporadic trips in and out of the garage. @IanStephens: Preference for oversteer etc. varies driver to driver and is not really an age thing. Reaction times might dull slightly over the years but I would be very surprised if that's the case. Tractability & predictable, smooth, linear power delivery are just as important as peak power. Just ask Fernando & Kimi about the first half of their season where they had to keep backing out of the throttle because the rears were constantly lighting up out of slow-medium corners and the Mercs were just putting it down and driving forward with ease and confidence. @MrTuK.. IDuring Singapore qualifying 2014, Kimi and Alonso were matching on every sectors. And on Spa, Kimi actually looked faster than Alonso. Why like that? Would make no sense for Ferrari to do spend all tokens before first race when they considered the token spending over the season as a small victory. 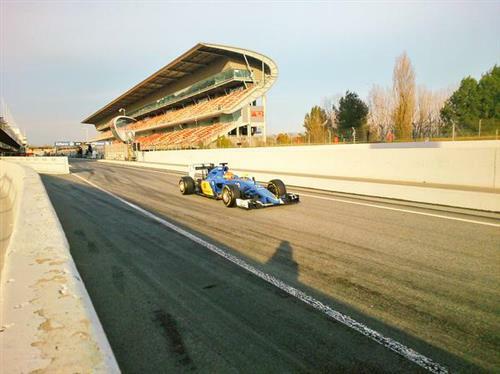 Different tracks can demand whether a car needs more under or oversteer also. JB isn't gonna risk sticking it in the wall with valuable test time left. I'm certain we didn't see the limits on that SS run. Maybe right at the end? Vettel, Ricciardo and Rosberg on track right now. Rosberg has gone to the soft tyre - he set the fastest time of the test on those on Friday, can he match it today? Do you think Nico is sucking weight for an advantage on Lewis? 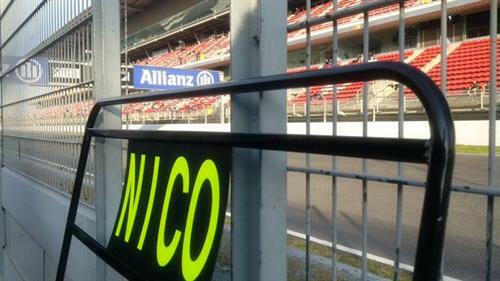 And, now that he has a clean slate, do you expect Nico to be less susceptible to overtake pressure...maybe leading to an early confrontation? @mfbull: It will be really interesting to see how the situation develops between the Mercedes drivers this year. I think we will see confrontations if it is close again, but a few reliability issues for Rosberg and I could see Hamilton getting and quite easily maintaining a lead in the championship. @Sama - Each car tends to suit the number one driver, thats how the designers try to go. Some drivers prefer a car with a tendancy for oversteer and others prefer understeer and some aukward ones prefer neutral understeer/oversteer ! @MrTuK: Most drivers prefer a neutral car, but some are better at dealing with understeer or oversteer than others. It's true to say that the best cars are the ones that a driver can get the most out of, even if it is down slightly on peak downforce. McLaren has made a big thing about a philosophy change at Woking from chasing the best possible figures in simulation to getting an easy to drive car. It's going to be that HAM-ROS dish again this year...at least at the start. Hope it's still as delicious as last year. @ChristianPisani: He's on a race sim now, but it was interrupted earlier after about 20 laps and he had to briefly return to the garage. Vettel, Nasr and Ricciardo now on track. How many commentators will confuse these two cars this year? Weren't McLaren saying that they were going to change livery come the start of the season? I hope they do. @farrugiamaths: They will change it for big sponsor but were coy about whether that would come. But there are rumours that we will see more of a Honda-style livery this year. Sauber, I think, is definitely in for a big improvement this year. @espn: None! The McLaren will be in the garage! It's still very interesting comparing various features between cars. @Nate forget the commentators what about the fans ! @NorbertHaug: Nope, he returned to the pits and did not improve on his earlier medium-compound lap. As I type, Rosberg heads out again. Silver is too prominent to mercedes! 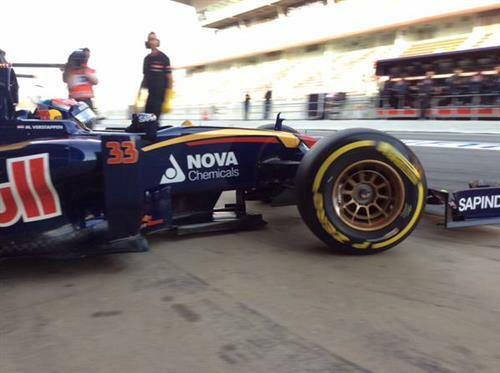 Toro Rosso have the car back on track after that earlier stoppage that caused a red flag. 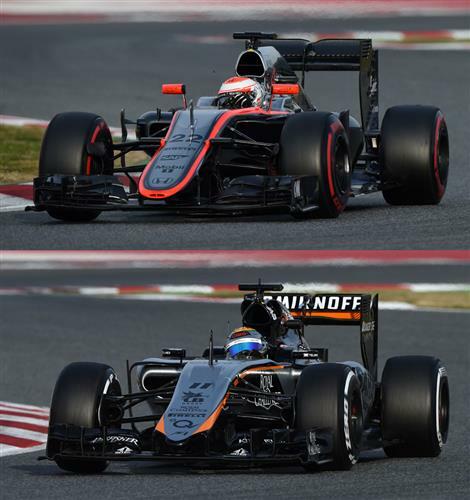 I think SFI should color as much of the cameras on top of the air box as they can, orange. I'm afraid Melbourne is going to look like that Rousey/Zingano fight. Seriously regarding identifying the cars when at the track...it is very difficult to tell between the two cars of a team. I wonder why F1 doesn't mandate displaying the number more prominently on the sides. Williams is the only car last year that clearly displayed the numbers on the side. @ChewyF1: Sauber have gone for some pretty big numbers this year. @J - I did'nt think Mechano were sponsoring ?